Your road to recovery, better joint flexibility, increased strength and fitness may be aided by a custom aquatic therapy pool program by Mind Body Physical Therapy. Talk to your therapist to see if it’s right for you. Not a patient? Join us for exercise and conditioning! It’s fun. It’s rewarding. It’s tailor-made for you. Accessing the only full-sized pool for physical therapy at Lake Tahoe, the therapeutic and fitness possibilities are endless. Please call us for information on current days/times. Community members are welcome at $30/month UNLIMITED. Done with therapy? Get fit! 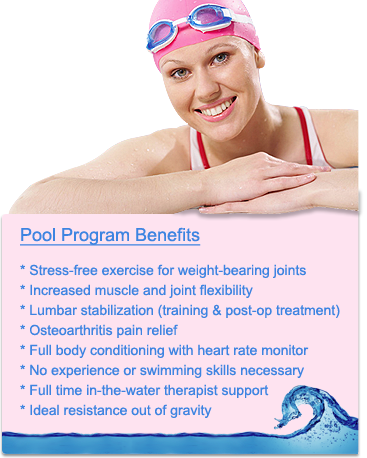 After care programs are available to those clients who wish to continue with their aquatic exercise regimen on an independent, self-directed basis. 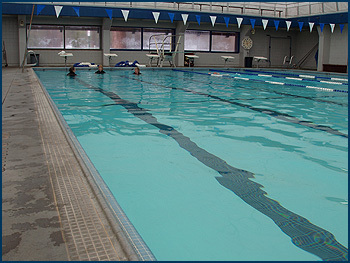 Pool exercise fees are charged monthly. “Buddy Sessions” are encouraged, though pool supervision is provided at all times during client usage. At Lake Tahoe, only MBPT uses a full-sized, heated, covered pool. Clients are scheduled for an initial evaluation in the office prior to the start of aquatic physical therapy. Individualized programs are developed based on the client’s need. Treatments usually consist of water exercises as well as manual therapy to promote recovery. Clients are often progressed to group exercises as they become more independent. 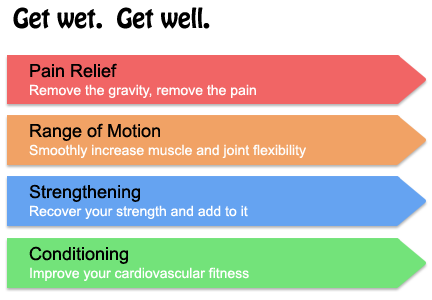 Office physical therapy sessions are often integrated with the aquatics sessions to determine functional progress.